Do you really have a modern bathroom if you don’t have a backlit mirror installed? Probably not. When styling a bathroom, there are two things in particular that will determine the entire aesthetics of your space: lighting and mirrors. This is why our LED mirror is the ultimate must-have accessory for any contemporary and stylish bathroom. Our Inolav LED Mirror carries a sleek and minimal design, made from solid aluminum construction with a 5mm thick high quality copper-free mirror. Design truly meets technology with this illuminated wall mirror for bathroom - not only does it provide both style and great lighting, but it features two touchless infrared motion sensors for LED activation. In addition, this backlit mirror carries back and front LED lighting to deliver beautiful and bright neutral white light without any unwanted shadows. As if that wasn’t enough, another reason why we are obsessed with this modern bathroom mirror is because it is reversible and can be hung vertically or horizontally- the choice is yours! The LED light in this mirror lasts up to 50,000 hours and is typically more energy-friendly than other traditional light bulbs. 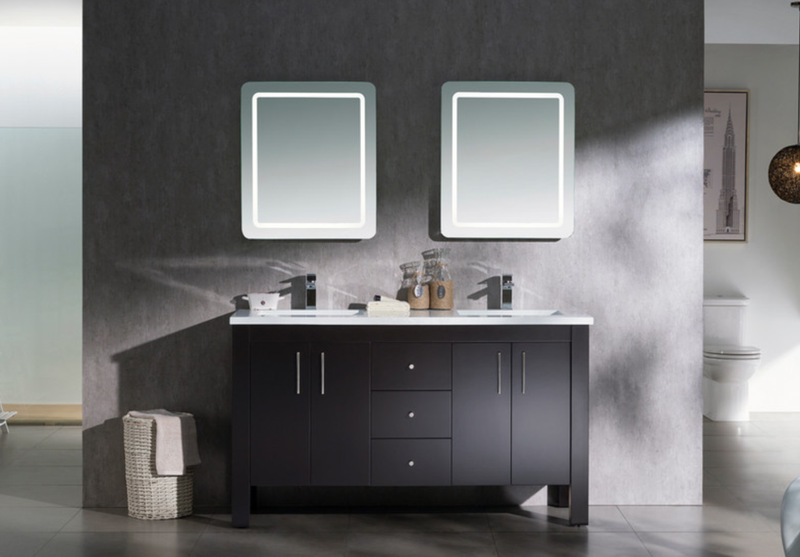 Our backlit bathroom mirror is available in a variety of sizes, from 24" to 72", and carries a two year manufacturer warranty. 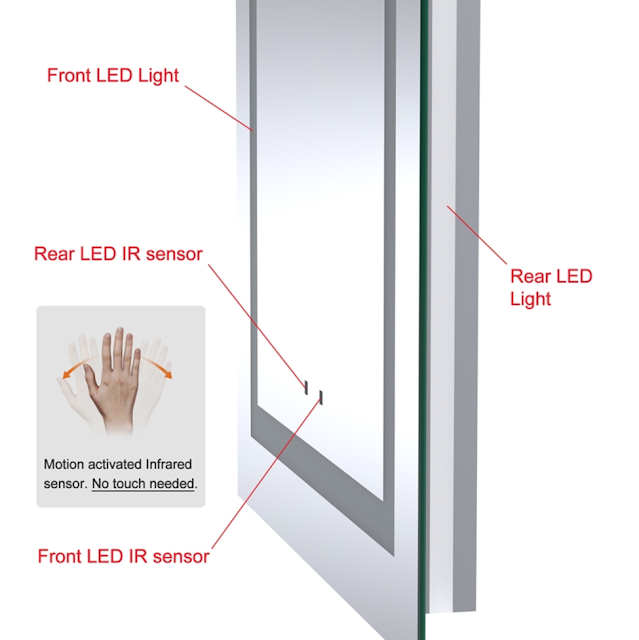 To learn more details about this lighted bathroom wall mirror, please click here. Give your bathroom an upgrade and transform it into a contemporary and stylish space with the best lighted bathroom mirror in the market. You have chosen a nice topic for the discussion here. Really, Led Mirror is very useful for the bathrooms because it provides both modern style and great lighting to your bathroom. Keep sharing this type of articles here.